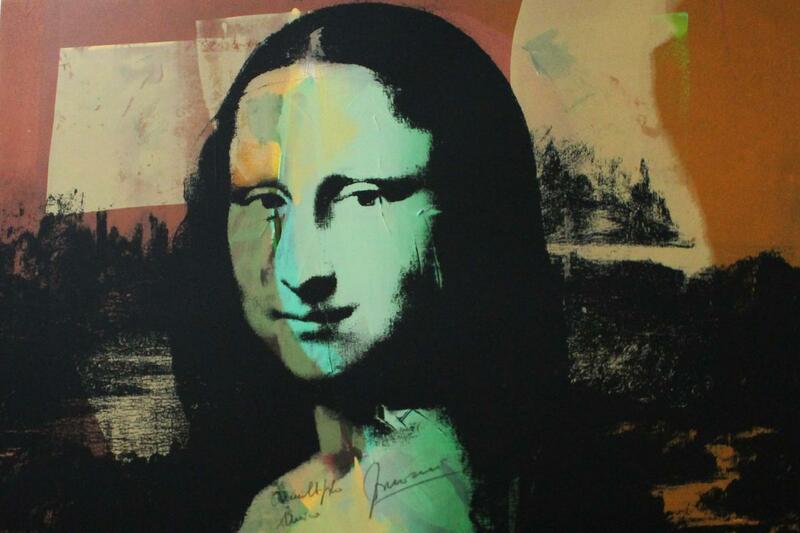 Medium: print with handmade painting The face of the Mona Lisa is perfect, by printing it in different colors her gaze changes. Initially Fornaresio worked on the landscape then, later, he painted the face itself with stunning effects. In 1975, Gianni Fornaresio moved to Venice to continue his studies, where he met and got to know a group of young artists. Twenty young people, full of hope for the future, who during the summer months they used to sell their art works to tourists and in winter had to figure out how to "survive". After a while, Gianni Fornaresio joined the "Associated Artists" group with the role of assistant framer and - a short time later - became responsible for running external sales. In 1977 he returned to Turin and continued his work with the "Associated Artists" organization and was involved in the distribution of "commercial" art works to furniture stores and frame-makers throughout northern Italy. In the early eighties, Gianni Fornaresio came into contact with a "scholar" and enthusiast of old prints, who introduces him to this fascinating world. He travelled to France and England and visited various exhibitions to collect various materials. While "dealing" with antique prints and books, he began to perceive their intrinsic essence and gained considerable iconographic and technical experience and skills, but continued to be involved with contemporary art. He also became an agent for several graphic publishers and one of the most important is the Marconi Studio in Milan. In the same years, Gianni Fornaresio realized his dream of having his own art gallery in the city center, where he produced modern graphics, antique prints and frames.